Lee Fitting is a 20-year veteran of ESPN production and has long been considered the man behind one of the network’s flagship college studio programs, College GameDay. 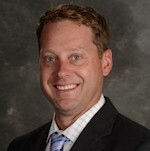 In addition, he is charged with overseeing the strategic direction, staffing, and day-to-day planning for College Football Live, college sports-related studio specials and content, as well as all college basketball games. During his time, Fitting has produced College Football Playoff: Top 25 and other shows, in addition to College GameDay. Fitting and his colleagues have earned six Sports Emmy Awards for Outstanding Studio Show Weekly in 2008, 2010, 2011, 2014, 2015, and 2016.